Sweet. Savory. Indulgent. Vegan. All in one. In the west, sweet treats are highly sought after and perhaps none more so than the ever-trendy cupcake. But as good as they may taste, it's hard to deny their sugar-and-saturated-fat based consequences. Not to mention, the dairy and heavily processed ingredients that often make their way into the recipes of mainstream bake shops. Wouldn't it be nice to indulge without the guilt for once? That's the mission at Simply Raw Bakery in Vienna. Sweet and savoury delights are offered guilt-free thanks to the innovative bakers, mother-and-daughter-duo Gabriele & Shana who are reinterpreting what it means to go vegan. And, although lighter-fare is making a name for itself in a city more known for Schnitzel than soyulent, they've got a long way to go until they convince the Viennese about the versatility of vegan. 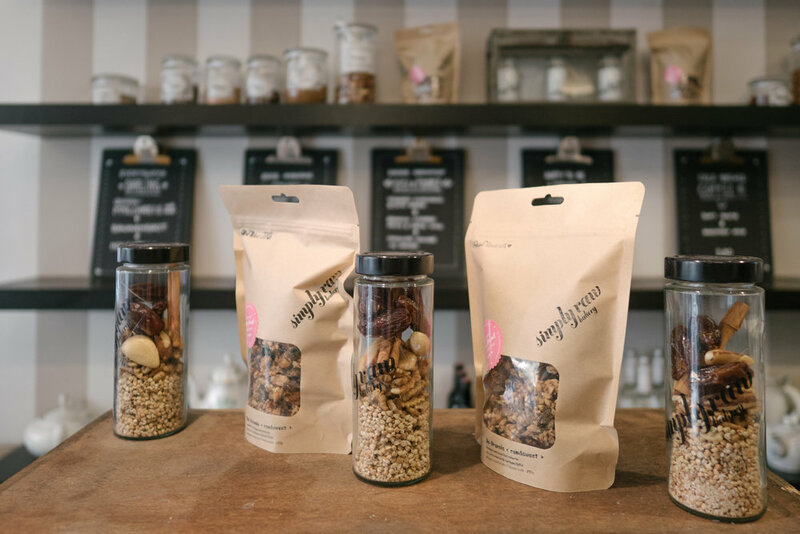 At Simply Raw, Gabriele teaches her team to rethink traditional Austrian ingredients and tastes. To keep the momentum and meet growing demands from both travelers and locals alike, she hires inspired youthful-bakers and hones their skills though testing and tasting new cooking concepts. This passion to redefine vegan in Vienna is the pulse that flows through Simply Raw. Just around the corner from the hustle and bustle that is this city's main square, you’ll find the premier vegan bakery artfully designed down to the last cake stand. Imagine the charming general store of yesteryear with its oversized wooden-planking, sparkling glass cabinets, and curious confections that leave you licking your lips in satisfaction. Though the decor may take you back in time with its picture-perfect Instagrammable elements, it’s as on-point as they come. Here, where coffee is coveted as much as good conversation, Gabriele and Shana are presenting health-forward options that are as beneficial for the disposition as they are the waistline. Hard to digest dairy, refined sugar, and animal products aren’t found here. The coffee? That’ll come with homemade cashew milk, naturally. And it’s richer in taste for it. Despite its honest, simple, raw ingredient construct that’s borderline paleo - Simply Raw is undeniably flavour-first. Meals are big and bold, both in size and taste. Going hungry here simply isn’t a possibility. We recommend the Sissi-and-Franzi breakfast, affectionately named after one of Vienna’s most famed historical Habsburg couples. Sissi, Queen of Austria was often referred to as the most beautiful woman in Europe during her reign. We’d like to think that this healthy breakfast will leave you feeling just as good - inside and out. Served on a three-tiered platter, akin to high-tea presentation of delectables, it’s best to begin with the middle tray. Here, a freshly-cubed apple based müseli tantalises tastebuds with a powerful dash of cinnamon and the complimentary crunch of baked-oats. After this, the freshly chopped vegetables and zucchini hummus on the top plate are sure to leave you wanting more. The brekkie has a show-stopper ending with a mocha-chocolate mousse and slice of orange to cut the natural sweetness of its agave. The main ingredient? Avacado. Go figure! This clever reinterpretation of delicious-meets-healthy breakfasts has earned full bragging rights in our opinion. But why stop there? The bakery's take on the classic lunch BLT sandwich is pure bliss. Drizzled with a dose of avocado 'cream' it's sure to satiate diners in search of savoury-over-sweet-bites. Can't get enough? Gabriele has authored a vegan baking book based on Simply Raw's most acclaimed creations. We can't wait to return to Vienna to get our copy. 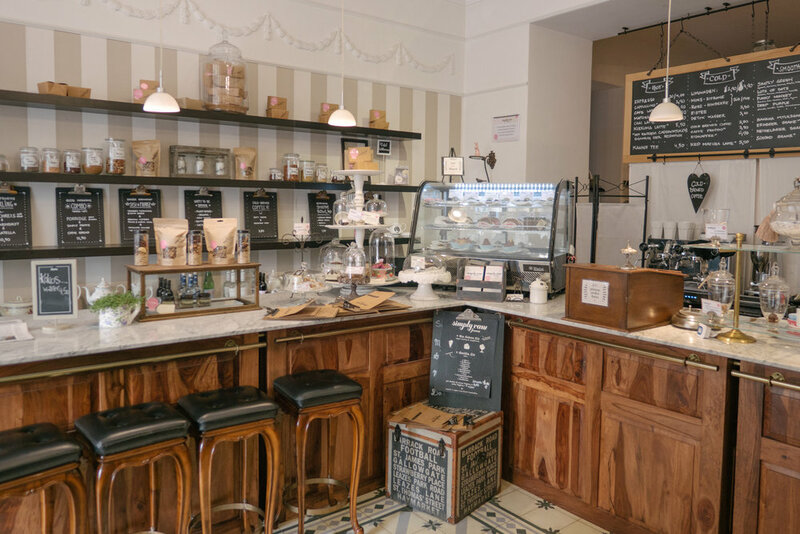 Take a look at the image gallery below for a sneak-peek at this quaint bakeshop and let us know what you would like to try most at Simply Raw in the comments below.